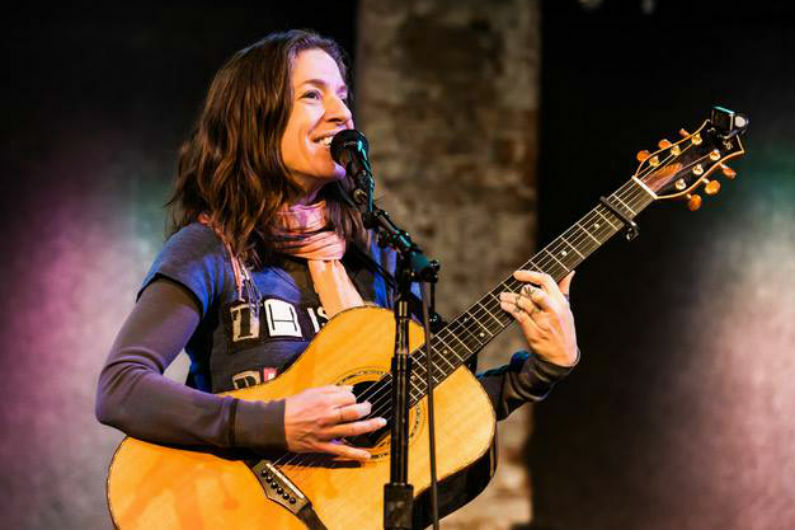 Ani DiFranco has extended her 2019 tour schedule. The musician / poet / activist will perform at the New Orleans Jazz Festival before embarking on a May book tour in conjunction with her soon-to-be-released memoir, No Walls and the Recurring Dream. The newly announced concert tour is scheduled through North American venues from late May through June, with Diane Patterson or Lucy Wainwright Roche joining as the opening act on select dates. When do Ani DiFranco 2019 tickets go on sale and what is the presale code? The general public on-sale begins as early as April 12. Presales for fan club members will begin on April 11. Keep in mind, each date is different and details are subject to change. Click through the individual concert links for more information about the show you're interested in. 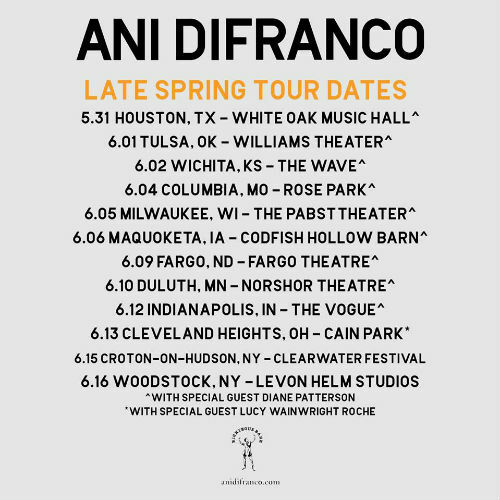 We recommend following Ani DiFranco on her social media accounts and signing up for her free email newsletter, in addition to signing up for your local venue's email newsletter, to get the most up-to-date information. No Walls and the Recurring Dream is scheduled for release on May 7, 2019. Pick it up on Amazon. For concert tickets and more, check out Ani DiFranco's Zumic artist page.